Besides makeup, two other passions that I have are cooking and eating. And on days when the cooking passion is somewhere snoozing, I have to indulge in my eating passion alone. When a girl has her eyes glued to a movie, ears closed to the world, her heart craves for a pizza. At least this girl’s does! And that is where the very handy, very convenient service of Foodpanda comes in. You don’t know which food outlet delivers to your place? You don’t have their latest menu? What are their charges? The last thing you want to do is bicker on the phone. Online ordering sounds so much easier and fuss-free! All you need to do is head over to Foodpanda.pk, enter your city and address, choose from your favorite restaurants, pick your food and order. Voila within an hour your nostrils awaken to the smell of some mouth-watering deliciousness. And trust me the choices are endless. From Chinese to Continental, from burgers to pizzas, from halwa puris to barbeques, you can have ANYTHING! Since this girl’s heart was craving for pizza, that is what she ordered, combined with some sides! So let’s walk you through a simple procedure of what I did. I went over to Foodpanda.pk. On the top of the homepage I entered my city and area. I was taken to some restaurants that were delivering at my place. I selected ‘pizza’ from the left-hand sidebar and picked a restaurant called Apple Nine from the given options. This opened their menu and I picked my choices, which were 1 Spin Rolls Platter and 1 Large Chicken Supreme Pizza. I clicked on ‘checkout’ when done where I reviewed my order. Then I was asked for my details, including my first, last name, address, phone number. Payment option was ‘cash on delivery’ and then I placed the order. Immediately I received confirmation via sms and email. Within 5 minutes, I got a call from Apple Nine, confirming my order and asking for address directions. The delivery time mentioned on the website was 45 minutes and I got my order safe and sound within that duration. There is no doubt I was impressed with the promptness of the service provided by Foodpanda. Everything was so smooth and hassle-free. The pizza was delivered on my doorsteps and I could continue my movie uninterrupted munching on some Chicken Supreme goodness. And I leave you folks with some crazy Foodpanda deals. Make sure you grab some before they are gone. To view them in full, head over to Foodpanda's Facebook Page. 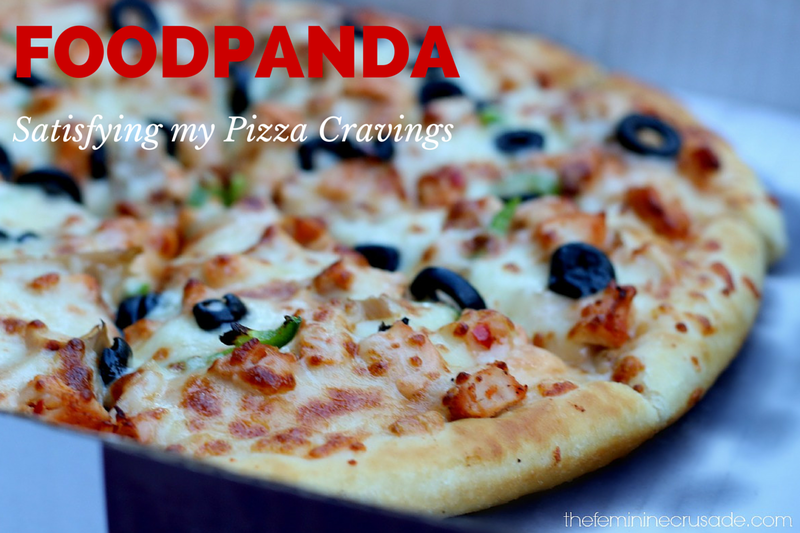 And if you want some extra insight, have a look at my post Foodpanda Pakistan - Order Food Online, where you can find a lot more information! Their online portal is open all across Pakistan. Have you ever tried Foodpanda? How was your experience? I’d love to hear your thoughts. 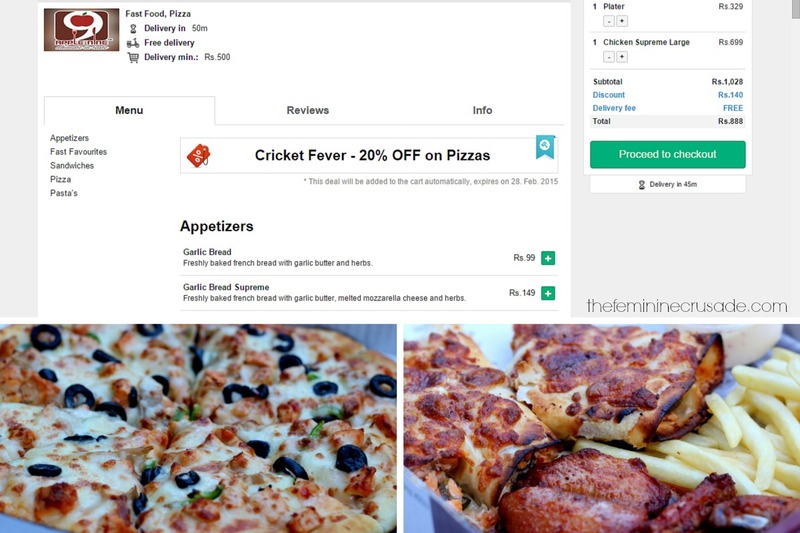 This post is in collaboration with FoodPanda.pk.